Did you know the way you type TEXT MESSAGES gives away your AGE? So you’re at some funky cafe and trying to impress the crowd with your new hipster glad-rags and aqua-glass reflector aviators, sipping on your skinny chai latte with a double twist of lemon and sending all your besties text messages about your social plans when a crowd of young dudes swan past, stare at you scornfully and shake their heads with derision…. Why, you think? Surely I don’t look too old for these super-tight Sass and Bide jeans? Surely they can’t see my wrinkly neck under my carefully draped designer scarf? No honey, that’s not the problem. 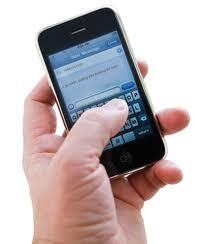 IT’S THE WAY YOU ARE TYPING YOUR TEXT MESSAGE!!! Ah yes, listen and learn, oh youth-aspirational aged ones. I have been given this pearl of wisdom from teen son who gave ME such a look when we happened to be out recently IN PUBLIC. 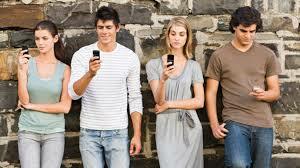 You see, I was holding the phone in ONE HAND and texting by using my FOREFINGER on the OTHER HAND. Don’t you get it? That means you are OLD!!!! Yes, smart phones came out well past your youth years so you need to stare at the screen and tap those letters carefully for fear of making a mistake because you really don’t want to put on your reading glasses. 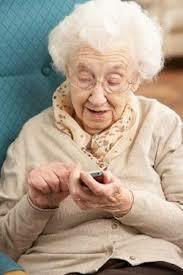 If you are young, you only use ONE HAND when texting. Because you are cool. Because your eyes are perfect. And because you are SO thumb-efficient you could enter the Olympic sport of thumb-texting tomorrow and blitz it on behalf of Australia, scoring gold medals all the way home. If you are NOT able to text with one hand, using your dexterous thumb, then please hide your backward texting style in a shaded corner where so you won’t embarrass those you are with. I am sure you will be eternally grateful I have passed this knowledge on to you. Now you really CAN pretend to be young without spending a fortune on Botox, driving a convertible and buying those over-priced label-bragging jeans. I just saved you a fortune. If I was REALLY cool, I’d say, ‘You’re welcome’ before you say ‘Thank you’, but I’m not, so I won’t.